Hey Glamazons! All that glitters is always gold in MY book. A few months ago I had the privilege of attending an Urban Decay luncheon with the company founder and a group of beauty editors where they presented us with the Alice in Wonderland Book of Shadows (more on that in a bit) and these atothemazing new eye shadows called StarDust. 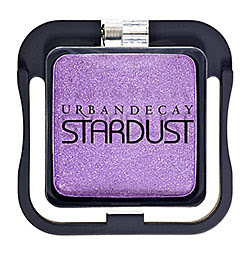 Sparkling, glittery eyeshadow shades in fun jeweled tone shades and even a dazzling inky black?! Oh, happy day! I love them. Each and every one. 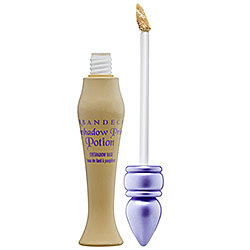 They go on surprisingly smooth and you don’t have to worry about the sparkly dust falling all over your face throughout the day (or night) because it stays put. The other cool part about these eyeshadows is the chic new packaging. Just one tiny squeeze and the lid pops open. AND (because we can never have enough eyeliner in life) be sure to pick up the newest additions to the 24/7 Glide-On Eye Pencils family: Binge (finally! a navy); Mildew (a dark green based on their best selling eyeshadow); Oil Slick (my fave! black with silver sparkle); and Crash (a rich deep eggplant). Let us know what you think after you test each item out!